Need to get rid of Powder Post Beetles? What is a Powder Post Beetle? Powder Post Beetles got their name because they produce a very fine, powdery frass. It contains no grains or pellets. 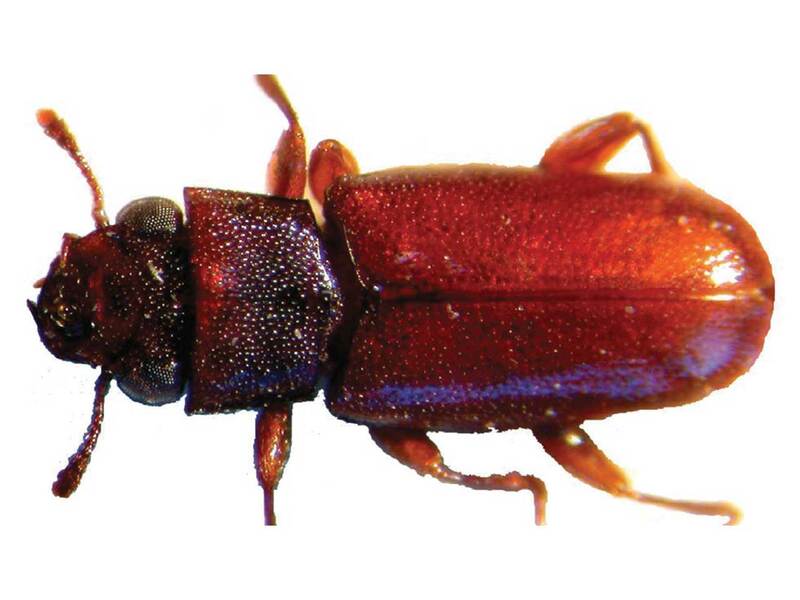 This beetle is destructive to wood and wood products. They attack hardwoods and infestations are commonly found in hardwood floors, hardwood timbers, plywood, crates, wood carvings, antiques, tool handles and so on. What does a Powder Post Beetle look like? Adult powder post beetles are small – ranging from 1/8 inch to 1/4 inch. They’re reddish-brown to black in color. The most distinguishing characteristic is the 11-segmented antenna with a distinct 2-segmented club. The mature larvae are C shaped and about ¼ inch in length and creamy white color. Note it is the larvae that do the damage, not the adult. If you suspect that you have an issue with powder post beetles and want additional information, please call our office for prevention and treatment options.